Baby Harris has a first name! 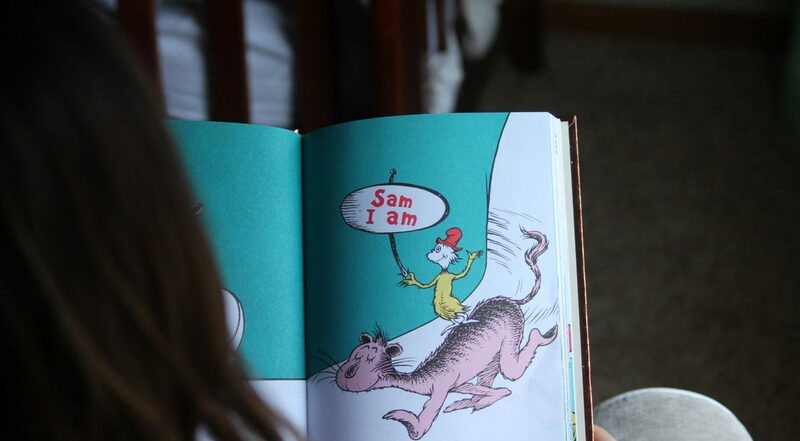 We named him Samuel, but not after a Dr. Seuss book. This Samuel comes from the book of Samuel in the Bible because I felt a connection with his mother Hannah. I know what it is to drop to your knees to pray for a child in a way that can only be described as wailing. Not out of fear though. I pray so passionately because I believe 100 percent that God hears me. In fact, that’s literally what Samuel means, God has heard. Before I share about the day Sam was diagnosed, will you indulge a proud mom while I tell you about him? First, he has a big brother named Jack. He’s our favorite two-year-old and brings more joy to life than I ever imagined possible. Second, don’t let this baby’s heart condition fool you. He’s strong and feisty! I’ve never felt pain from a kick before…that is until big brother sat on him. Sam let us both know that was not appreciated. We’ve also yet to find a nurse who can catch this baby’s heartbeat on a Doppler. He is constant movement! I always let them try, but quickly the smirk on my face gives it away and off we go to ultrasound, again. It was the sound of his heartbeat at my 19-week gender/anatomy ultrasound that struck me as odd. It was a gushing sound that I had never heard previously. I looked at the ultrasound tech in an effort to read any information she wasn’t sharing, but she continued on as normal. As time went on… and on, the tech became frustrated. Sam was not in a great position for whatever it was she wanted to see so badly and I was becoming increasingly uncomfortable. At this point it had been 30 minutes on my back …then my side…. then the other side…let’s try the back again. Around the 40-minute mark, the tech stopped and I was relieved to be done…so I thought. On her way out she asked if I had any DNA testing done. Again, the timing of this question struck me as off. They ask this question at one of your first appointments, not after an ultrasound so far along in pregnancy. I had previously declined DNA testing with both my boys because it would change nothing–my babies were knit together in my womb just as God had intended. My husband Mike was with me at this appointment, so he kept my mind busy from wandering into the what ifs. As he said the words Hypoplastic Left Heart Syndrome, septal defect, and Dextrocardia, I tried my hardest to listen really well. But in a surreal sort of way, my mind refused to keep pace and grasp the meaning of his echoing words. Next, he showed us Sam’s heart, and in that instant, mine broke. I doubted the tears would ever stop. Thankfully, I married the right guy. He tried some comic relief in the car … a story about a guy he saw in a movie. This guy got shot in the chest, but since his heart was on the right side rather than the left, he survived! (Trust me, you just have to know Mike…) Then he said, “Call me crazy, but I know it’s going to be okay.” Yes, I’ve called Mike crazy at times, but he was right about this. Our baby is a wholehearted survivor. Samuel has life and purpose, and I would not be a slave to fear. Sam I am in the Hands of the Great I Am—LOVE IT!!! Thanks for sharing that. Prayering for sweet baby Sam! Truly God has his hand on him! You all are in our prayers. We pray for little baby Samuel and trust our Lord will keep him safe and deliver him healthy through this process. This is Linda Harris’s cousin-in-law. (Mike’s Dad’s cousin) I am praying for you and your sweet little one, and asking that God’s mighty hand will perform a miracle! I praise God for your faith and your testimony of placing all of your lives in God’s hands. May He continue to strengthen you, give you grace, joy and peace through out each day.